Want to Write With Us? We’re Looking for More Bloggers! November 12, 2010 November 12, 2010 No Comments on Want to Write With Us? We’re Looking for More Bloggers! Today, Canadians across the country will observe Remembrance Day. The tradition of remembering the casualties of war on November 11 first began in 1919, following the end of the First World War. Through public commemorations or more private ways, citizens will think about the sacrifices of thousands of men and women who have risked their lives for country, faith, and a multitude of other reasons. Moreover, Canadians will also consider the meaning of war and its impact on society, an issue particularly important because of the country’s long involvement in Afghanistan. OpenFile, a website that connects community members with journalists, has created a timely “Poppy File”. OpenFile urges the public to suggest story topics that then undergo a process of collaboration. The Poppy File includes a number of items that use digital media forms to present the experiences of war remembrance related to the Second World War. One of the Poppy File’s most interesting items is an article and accompanying map that uses typed index cards – created by the Toronto city clerk’s office and now housed in the city archives – to trace the residential location of the city’s war casualties from 1942 to 1945 on a contemporary map of Toronto. These index cards formed the basis of the city’s Book of Remembrance, located at City Hall. Patrick Cain, who coded the more than 3,300 cards, notes that this form of mapping “joins two kinds of knowledge: our existing picture of the familiar city and some new knowledge superimposed on it.” Combining the card data with the present map of Toronto is, to Cain, “an exercise in recovered local memory.” Many viewers of the map will surely go to areas of personal importance in Toronto to see the number of poppies – residences of the war dead – located near their own places of meaning. In line with the collaborative intentions of OpenFile, readers have already begun to contribute the addresses of individuals close to them who died during the war but are left off the map. In late September the Pope traveled to England and beatified Cardinal Newman. One month later the British government’s 40% funding cuts demonstrated the limited influence of sainthood in the politics of higher education. (See Glen O’Hare for a review of the cuts). 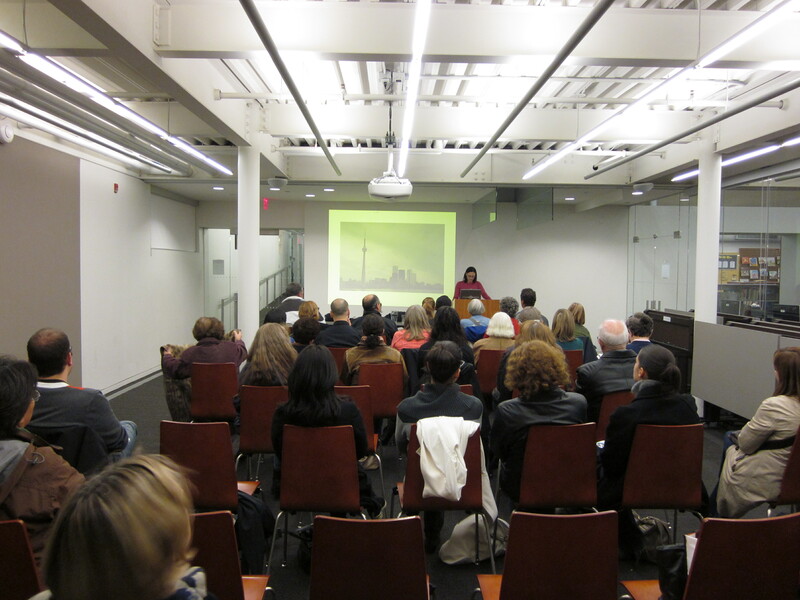 Last Thursday, historian Susana Miranda gave a talk called “Keeping the City Clean: Portuguese Women in Toronto’s Cleaning Industry, 1970-1990” at the Bloor/Gladstone branch of the Toronto Public Library. The lecture is part of the Toronto Public Library’s History Matters series. As you can see in the image to the left, she started her presentation with a shot of the downtown office towers that grew to dominate the Toronto skyline by the late 1960s. Miranda proceeded to examine the labour struggles of the women who cleaned these skyscrapers and other buildings across the growing metropolis. Her talk is available here for audio download. The lecture is based on research for Miranda’s PhD dissertation, completed earlier this year. The last of this year’s History Matters talks takes place tomorrow, November 4th, when Megan Davies and David Reville present “Locating Parkdale’s Mad History: Back Wards to Back Streets, 1980-2010” at Toronto’s Parkdale library. Click here for more details. On Friday night I sat down at my computer to write out a post for this morning and nothing came. 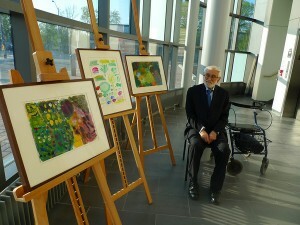 Last week was a busy week for me and it was filled with a number of surprises (some pleasant, some less so). One of the major events of the week was the death of my friend Francis. Historian Jennifer Bonnell recently gave a talk called “Isolating Undesirables: Prisons, Pollution and Homelessness in Toronto’s Don River Valley, 1860-1932” at the Berndale branch of the Toronto Public Library. The lecture is part of the Toronto Public Library’s History Matters series. 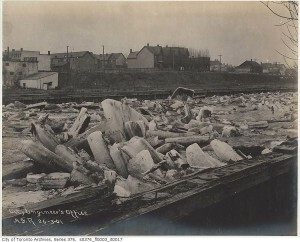 The lecture is based on research for Bonnell’s PhD dissertation, which examined the social and environmental history of the lower Don River valley. Her talk is available here for audio download. Next week ActiveHistory.ca will post another recent History Matters talk, Susana Miranda’s discussion of Portuguese women in Toronto’s cleaning industry from 1970 to 1990. The next History Matters talk takes place on Thursday, November 4th, when Megan Davies and David Reville present “Locating Parkdale’s Mad History: Back Wards to Back Streets, 1980-2010” at Toronto’s Parkdale library. Click here for more details. Today we have a new book review by Carrie Schmidt, who is an archivist and librarian currently living in Vancouver, BC, via Montreal, QC, and originally from Edmonton, AB. 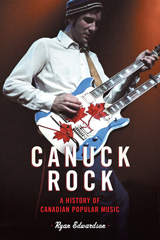 She has reviewed Ryan Edwardson’s Canuck Rock: A History of Canadian Popular Music (University of Toronto, 2009, $27.95). If you would like to review a book for ActiveHistory.ca and you are not a professional historian or graduate student, please get in touch: info@activehistory.ca. You can learn more about our book review section here. The history curriculum in UK schools is to be overhauled with the help of Simon Schama, an announcement made five months after the controversy sparked by the alleged invitation extended to Niall Ferguson. 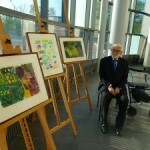 The concerns remain the same: that history is disappearing through falling demand, at least in state schools; that where it is taught, the topic-based approach of the national curriculum develops no sense of a coherent narrative of British history and necessarily omits important episodes and figures (such as Churchill). ‘The trashing of our past has to stop,’ Michael Gove, the Education Secretary, insisted, echoing Ferguson’s call for a ‘campaign against junk history’ following recent, successful campaigns to improve school meals.